Four months after action plan drawn up, Sam says he’s had no response from the MP and only a one-liner from Cllr Mosdell. His previous “healthy dose of scepticism” appears accurate. 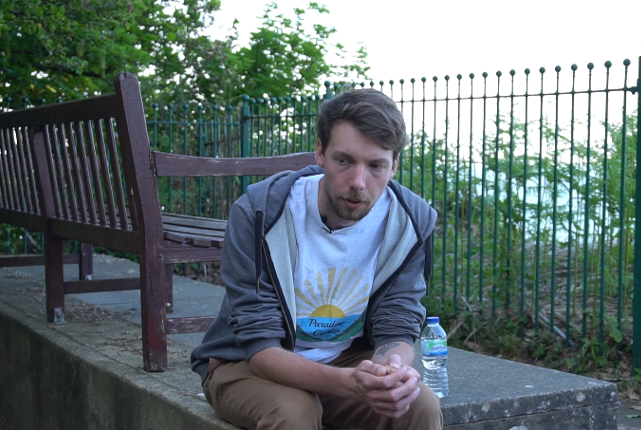 A volunteer who made a film about the mental health crisis on the Isle of Wight claims he has been ignored by IW Council bosses and the Island’s MP. Sam Schroeder said he had not heard from either Isle of Wight Conservative MP, Robert Seely or adult social care cabinet member, and mental health champion, Cllr Clare Mosdell, for months. Four months ago, Sam screened his film ‘Crisis or awakening’, at the Riverside Centre, Newport. After the film, Mr Seely and Cllr Mosdell invited Sam to a meeting to discuss the reforms proposed in the film. Sam said they drew up an action plan to open a dialogue between the three of them about mental health on the Island. He said Mr Seely also offered to take certain matters up to the House of Commons. After the meeting, Sam said he was balancing his optimism with a healthy dose of scepticism. Two months after the meeting, Sam said he had not heard from either Mr Seely or Cllr Mosdell. “I received no response from Mr Seely, and a one line response from Mrs Mosdell explaining she hadn’t had time to look into the matter. Cllr Mosdell did not respond to requests for comment. 3 Comments on "Promised action, failed to deliver: Ignored by Isle of Wight MP and Cabinet member claims mental health film-maker"